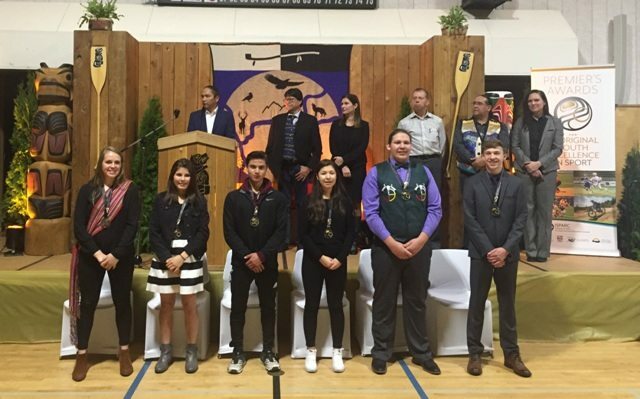 The 2017 Premier’s Awards for Aboriginal Youth Excellence in Sport were presented to eight outstanding Aboriginal athletes from BC’ Interior Region. The formal celebration was held at the Adams Lake Recreation Center in Chase on Thursday. Receiving an award from the Cariboo-Chilcotin are 18-year-old Laine Grace of the Cariboo-Chilcotin Metis Society for hockey and 16-year-old Terrance Hubick-Archie of the Canim Lake Band for canoe/kayak. “The recipients recognized are the mentors, heroes, and leaders of the next generation of Aboriginal athletes for the Interior region of our province,” said Ravi Kahlon, Parliamentary Secretary of Sport and Multiculturalism. The recipients automatically serve as nominees for the Provincial Awards in which a total of 12 Provincial Recipients (six male and six female) will be selected in February 2018.